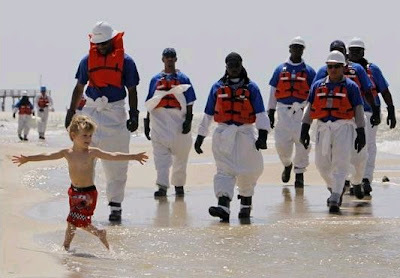 The above picture shows some of the oil spill clean up crew in Alabama checking the beaches. It seems to me that considering the depth of water they are working in, they are well protected from workplace hazards. Hardhats and life jackets?